Our neighborhood criminals have started cutting our phone lines repeatedly, each time we have them repaired or repair them ourselves. I think one of the men is obsessed with us, like a stalker. He stands outside at night taunting our guard that all our cameras will never catch what he does. (He is right.) He knows that ultimately we have no protection. That’s exactly what I have to learn to accept. Last night I thought about moving, but it’s unrealistic. Neither Shishur Sevay nor I personally, has the funds it would take. Where would we move? Some of our most committed teachers live nearby and teach when their kids are in school. If they have to travel, too much time will be lost. Property values have gone way up, but our house at the end of the lane would not bring us enough to get another comparable place and renovate. I’ve looked from time to time at property and at houses — nothing we can manage. Having children with disabilities requires a lot of specific alterations. If we move locally, can we be sure we won’t be followed by our criminal stalkers? If we move further away, where we are not known, can we be sure we will be safe? Many homes for children live by undeclared policies that allow local men to have access to the children. The criminals here ultimately want access to our girls. That has been a source of conflict since the first days. They wanted to be able to “come and go” as they wished. It will be the same wherever we go. I came to understand that the girls and I carry our vulnerability. This evening we all talked, and the girls asked why I’d been sad looking. They hadn’t all known about the phone lines, and I talked about my worries, how it had gotten worse. I talked about my thoughts on moving but wasn’t sure we would be safe anywhere. We are female. I am not anyone’s property and as orphans they are considered everyone’s property. It was personal and it was intimate. I acknowledged that they had each lived in far more dangerous situations. And then one of them said that when she got married and had a baby she was bringing her baby and her husband here to live. Another suggested we have a building with flats and they could live with their husbands in the same building. The ones who say they never want to get married want to stay here too. I have no idea what the future will bring but for now, this is clearly home, their home… it was a beautiful evening. 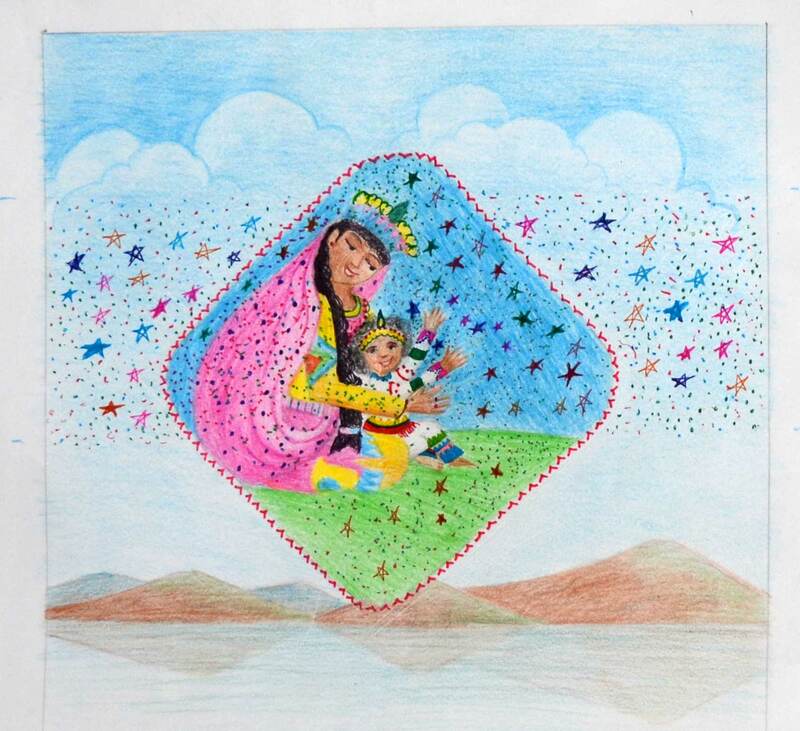 On another note, this is a drawing done by one of our girls, an illustration for my children’s story: Dreaming Wishes For Prince Dobu. Many months ago the police finally cleaned out the criminals. They cleaned out drugs, prostitution, and guns. This was all right next to our home at the end of the lane. One of the criminals, wanted for murder, is still on the run, though he has made brief appearances. His son, whose family is here, is apparently out on bail. He has come around at times, but mostly stayed away. He is back, in full force. He has been trying to involve one of our girls, though he has a wife and child, and other children around of course. He tried to get her to steal money to give him. He harasses us outside out gate. It’s been annoying, but now for the last three days he is blaring music throughout the day and long into the night. He is playing love songs so loud that with our windows closed it still comes in very loud. Bijoy threatened him when he learned he was going after on of our girls. That took courage, but I think the music is also revenge. Two nights ago I went out late and asked him and his mother to turn the music down, which they did eventually. But it was a Pooja celebration and I thought it would stop the next day. This is the third night. Yesterday he almost ran down one of our Board Members who was coming. I heard that one neighbor had complained. This criminal is supposed to be under close police supervision but one never knows which side the police are on. And I guess everyone is afraid of him because I can’t be the only one whose home space has been invaded by sound. In the past, the local “CLUB” and the police were involved with cleaning them out. For whatever reason I feel more vulnerable now, maybe because as bad as his father was in some ways, he also kept his son in check at times. And he is targeting us. Sound gets to me. I’m reminded of Penn Station in NYC where they blast music at night so people can’t sleep in the station. I tell myself I may just have to learn to live with it. I even tried telling myself I might enjoy the music if I let myself. I have lots of ways of trying to convince myself! They aren’t working. I lived with death threats here for years, with riots, with police here when I could get them. But I thought that was all in the past. In the US, you look for a house in a cul-de-sac because it’s safer for children to play. But here it’s the opposite. If you live at the end of the lane, you are vulnerable to everyone along the way to your house. If they have enough power they can stop the police from coming, which they mostly were able to do. When I was doing renovations the criminals would stop the contractors and demand money. Sometimes it’s not easy, what I’m doing. But then, that’s why I’m here. I’m the wall between the girls and precisely that harsh and dangerous world out there. A few nights ago I dreamed I was trying to put our records together and that required that I establish records on the moon first, which I did, and then replicated here at Shishur Sevay. I kept asking, “How can I explain to people that I had to get this done on the moon first?” I’m working on a blog post about the past seven years here. Maybe that’s the answer as to why the dream. I’m feeling a lot of pressure, trying to write about what it’s been like, and probably holding back a lot on what it’s really been like. I’ve been to the moon and back…. that’s what was required. It was cold and lonely and void of vegetation. Shishur Sevay today is thriving. It’s glowing. It’s what I’d dreamed it would be. So here is the blog I was working on before I went to sleep, before I understood I’d been to the moon and back. The process of building Shishur Sevay has been brutal, but the product is beautiful. The first twelve girls came to Shishur Sevay in February 2007, so for me this time of year is always one of reflection. They came with an array of abilities, disabilities, and medical conditions. All came with scars, emotional and physical. 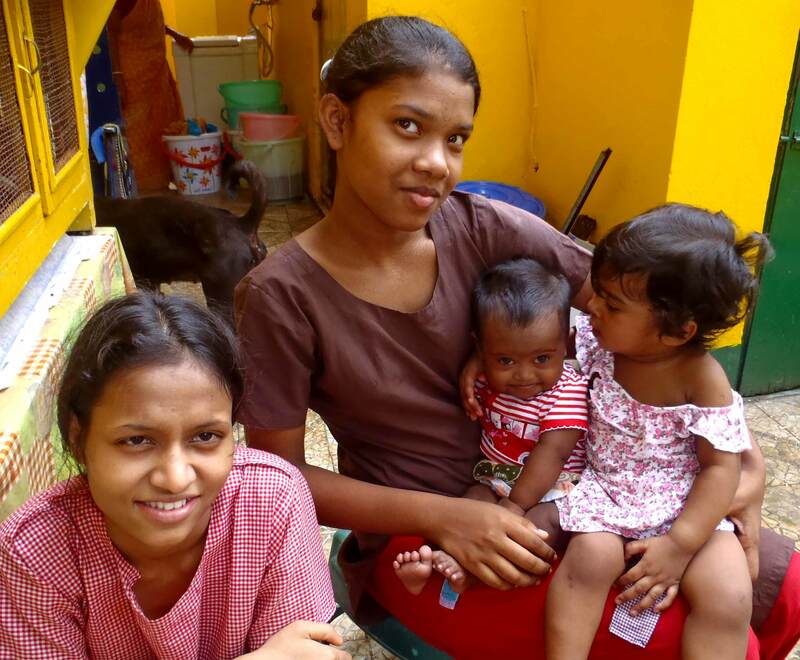 They all were socially and educationally deprived, and had led lives filled with violence and deprivation. Then at some point, each had lost everyone and everything: parents, siblings, extended family, and community, and eventually were placed in a government institution. 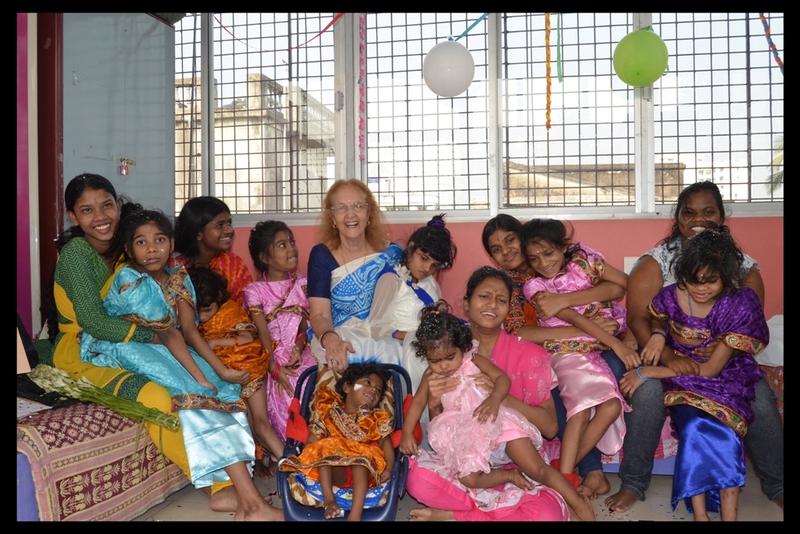 These are the children I’d sought, the ones considered not adoptable in India or abroad. They had been rejected by adoption representatives before they were sent to me for “rehabilitation” by Order of the Child Welfare Committee. With adolescence, three of the girls became too unmanageable, with behaviors that put us all at risk. My decision to return them to government care was very difficult, and taken after many attempts over the years at various treatments and therapies, but necessary if Shishur Sevay was to be the safe place it is. I had not expected ever to have to do that. This year we started an inclusive school, Ichche Dana Learning Center because educating the girls in outside schools “did not work.” The girls are beginning to put their efforts back into learning. There were several factors interfering. One was their early deprivation that left them far behind their classmates, while they were also older than their classmates. Science is now giving us information on the effects of this early deprivation. At school the girls were seen as “different” because of their origins, and they felt different. Teachers lowered expectations; some gave them false high grades because they “felt sorry” for them. Others ignored them, or queried them about their origins and caste. The Indian system of rote memory left them too frightened to learn anything but the paragraphs they had to memorize and give back, an impossible task when you don’t have the foundations of language, any language. Ideas of self-discipline, hard mental work, and delayed gratification were as foreign to them as I was.. If work was hard it scared them. They lived in fear. It was time to bring them back and start anew, which is what we are doing and so far it is working very well. The girls did a presentation of their work to volunteers from Equal Health,a team of Australian educators who were with us in January. 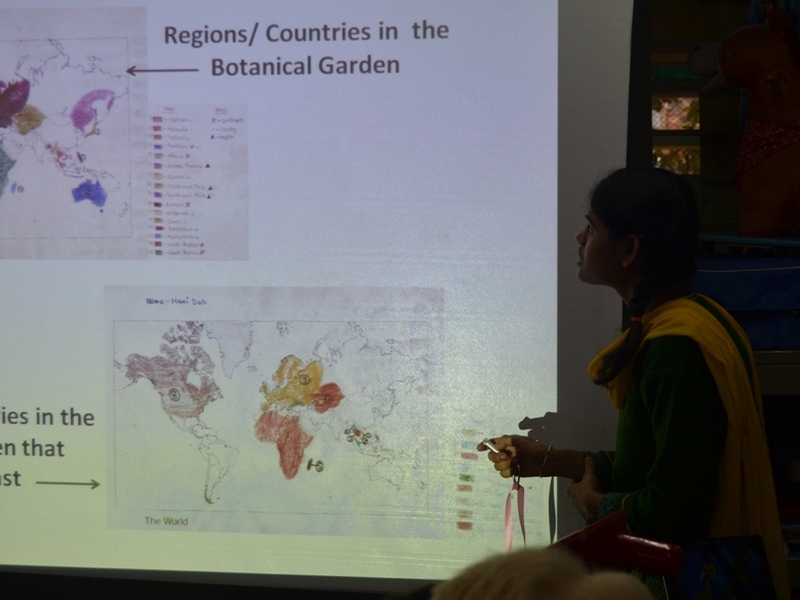 Ganga and Bornali both presented by use of the iPad and the recorded script. This is inclusion. 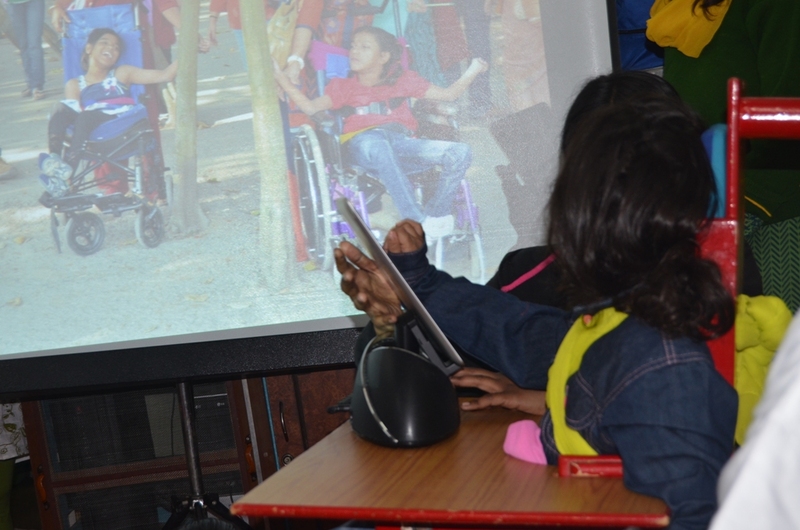 Everyone is able to learn something and to contribute. Some of the coursework has to separated by level of understanding and skills in reading and comprehension, but the ideas and subjects and methods of presentation can be done by all. And our children with the most severe disabilities, even if they can’t join in, they still make wonderful and appreciative listeners. Everyone has a role. Our eventual plan is for the girls who are able, to enroll in the National Institute of Open Schooling which will allow them to sit for Class 10 and 12 examinations. We will send to college those who are able. We will look at job training for others. Some of our older girls may need to stay with us. I’ve promised marriage to those who want. We talk about dowry because it’s integral to the world they live in. 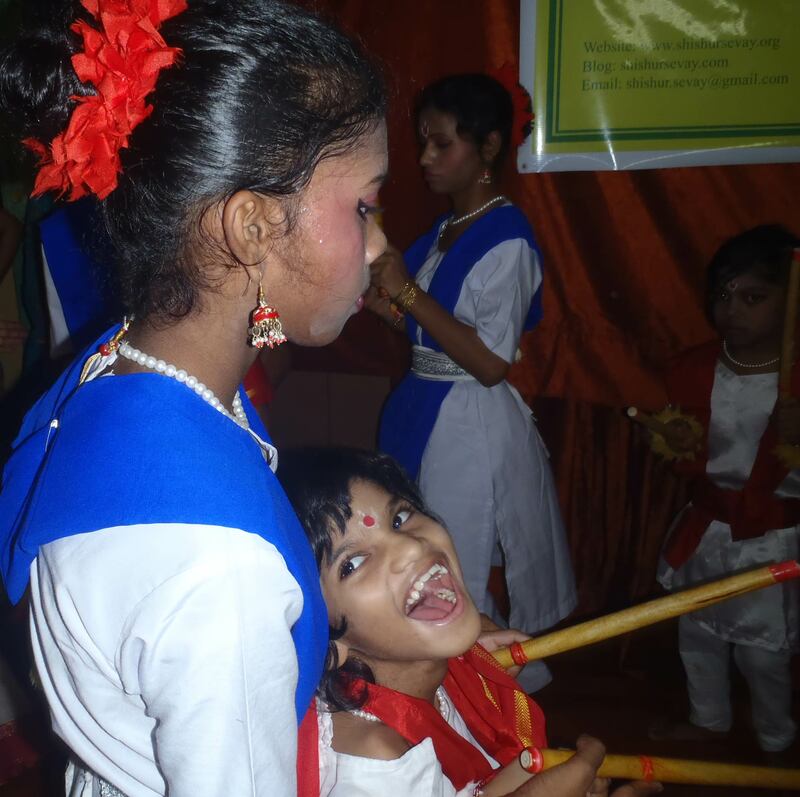 This year though, I find myself thinking a lot about our girls with the most profound disabilities and looking at the therapies and methods that have and have not “worked.” The children thrive on attention, especially one on one! If I were in the US, I’d be thinking about finding teenagers to just play with them, floor play, songs, things I’m familiar with. I haven’t found that here. My experience (and I add the caveat that I can only speak for my involvement with families since 2000) is that teenagers do not “babysit” or work outside their families. Play happens sometimes as “therapy” by professional therapists, but that means it’s a very limited and expensive resource. As for cognitive tasks, my little ones would rather be dancing. One day I will tell the story of what it took to get here, but Shishur Sevay is a wonderful place now and that’s how the journey must be seen. Torment has taken up residence in a part of my soul. Most of me is OK. Life does go on. The people around me would probably describe me as a bit sad, distracted, able to come out of it, and then returning, in quiet to this terrible place of loss, and also of confusion…. 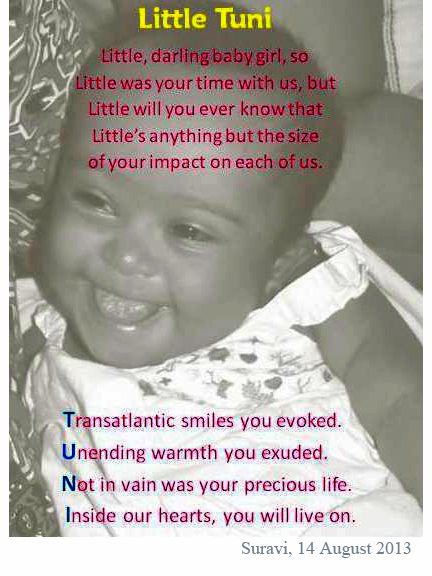 the work of “framing” the experience of Tuni’s brief life and her death. And then, central to my anguish, is The Dream. This is the canal I saw in my dream the night of 10 August 2013. 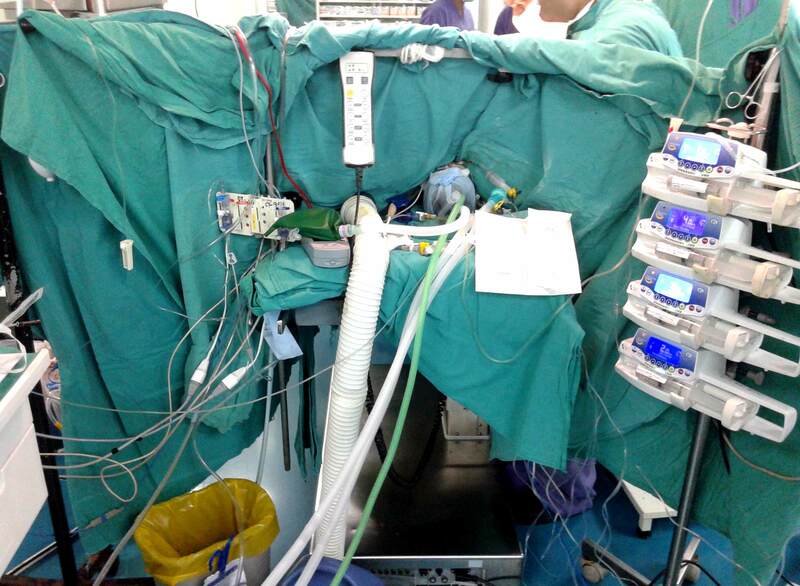 The photograph is taken from the window of the Operating Theatre during her surgery on 13 August 2013. I dreamed there was a canal in front of me. It was night. On the other side, dead babies were being put into this canal one after another, floating downstream in the murky water. I was standing on this side, holding Tuni in my arms. Seema was with me and I was screaming and screaming, “No, not my baby. She is different! She is different!” My baby would not be put into that canal! I can still feel and hear myself screaming. I’ve not stopped screaming from the center of my being. I can’t. 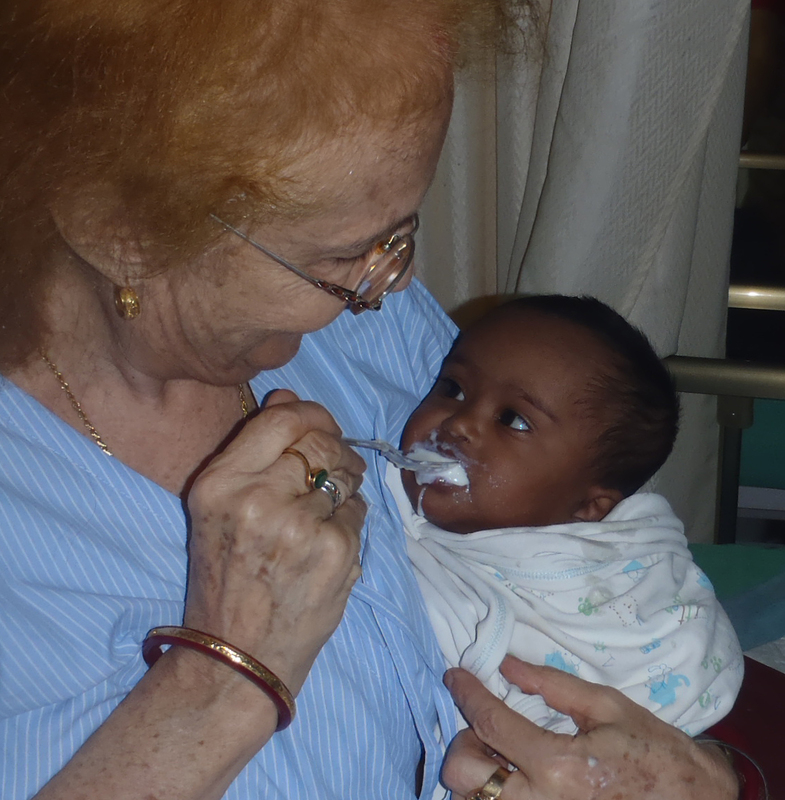 Monday 12th August we admitted Tuni and took her to her room. I looked out the window, and there was a canal, but not exactly like the dream…. Still, I was upset. Yes, I thought of taking her out…. I spent the afternoon with her. I’d hoped for some “quality time” with her but she slept most of the day. I guess it’s what she needed. I lay next to her and took pictures of us with my phone. 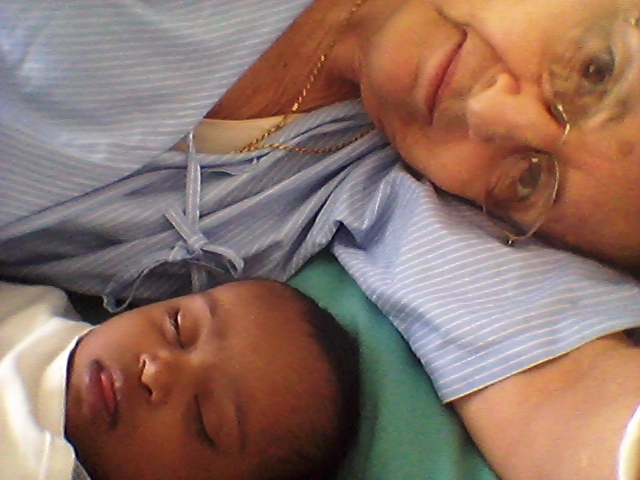 It was a time of just being in the present, and the peace of being with a sleeping child. She woke in time for me to feed her. In the evening the massis she most enjoys came to replace me. They played most of the night and in the early morning Tuni fell asleep. She was still asleep when I met up with her in the pre-op room. I had asked the surgeon if I could watch the surgery and he kindly agreed. In the morning he met me in the pre-op room and then took me around, showed me the cardiac icu (It has a different name there) and introduced me to doctors in the lounge. 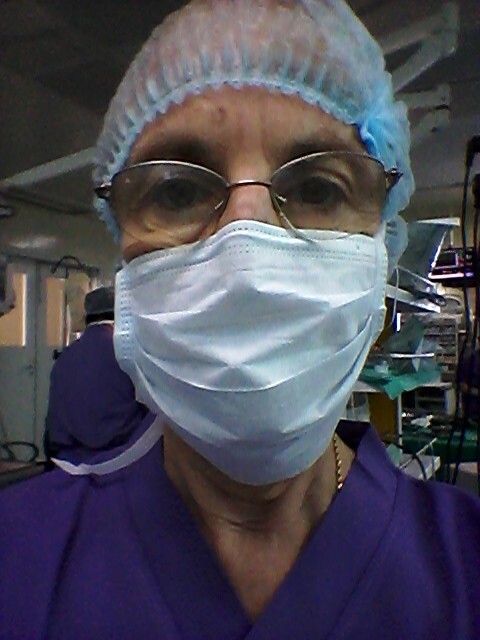 I changed out of my sari and into scrubs… hair covering, and mask. I felt right at home. Surgery went well for the first hour. The shunt was in place and they were starting to close. I was about to sms downstairs to Seema and the rest of Shishur Sevay that I’d be down soon, when suddenly her oxygen concentration fell….. I sensed everyone in the room was shocked to see the numbers on the screen fall. I felt like the hand of fate had just gripped the surgeon, frozen us in the space and time of the dream, It seemed like the moment one problem seemed resolved, there was another. The shunt developed a kink, a blood clot was found, even though the heparin had been given. Her heart stopped and they got it going again. Over the next five hours they put her on heart lung machine, pacemakers….. I’m not sure what else. 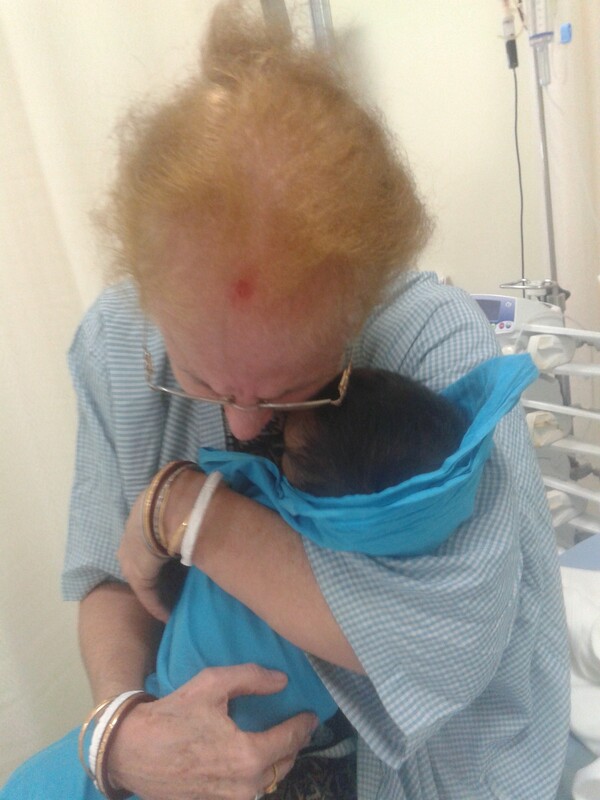 It was quiet and the doctors talked in Bengali, I was just grateful to be there, but also frozen in re-living the dream. I was spending most of my time at her head, looking over the drapes, and just resting my hand on her forehead. There were staff there who wanted me out and tried some ploys I resisted…. but then finally another surgeon insisted I break for lunch, as they had brought lunch to the floor for me. I dutifully sat in the Doctor’s Lounge and ate the sandwich and pretended I was in a normal situation in a normal life. Once back in the OT I put my hand on her forehead. It felt pasty; she was alive but her spirit was no longer there. I stood there silently screaming to the universe in protest. 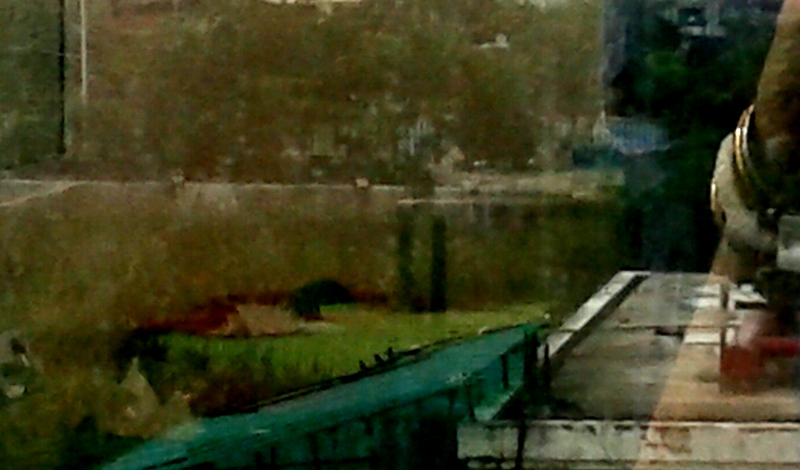 I went to the window of the OT and saw the canal, the one I’d seen in my dream. I took pictures of the canal, and the reflections of my bangles. I took pictures and silently went on screaming. In the dream I’d screamed that my baby was different, so that was enough to me to believe that maybe she was close to death but hadn’t really died. And that is how it played out over the next 16 hours. Tuni went to the cardiac unit and we came home around six pm. About two hours later the anesthesia dept called and said Tuni had arrested, and they were working on her. Seema and I, and her son rushed off back to the hospital, about 45 minutes away. In the taxi we talked about the possibility of her death. In the Hindu tradition, children up to five are buried, not cremated. We arrived to find that she was now doing better, her heart going on its own. We came home, and the next call was at 7 am the next morning. They were working on her again but didn’t think they would be successful. They said to come in. Tuni lay there with an ever so slight smile on her face. I just held her and cried and cried, as I have so often since she died, as I cry now as I write about this. The conflict in the dream about where she would be buried played out in reality. The hospital and everyone else told Seema that the place to go was the burial ground in Topsia. I can’t explain why, but my baby was NOT going to be buried in Topsia. I don’t like the area. I think Seema thought me quite mad, as I kept insisting I’d heard about a Hindu burial ground on the road the girls take to school each day. I was sitting in the car, Tuni’s body in my arms, determined that she was not going to Topsia. However it was Jojo, Seema’s son who found the Hindu burial ground near us. I’ve written about it in an earlier post. The next day, when Shanti Devi came in the morning she talked about the Topsia burial ground, and the wild animals who inhabit and desecrate it. I just knew….. sometimes I just know. I miss Tuni terribly. In the Hindu tradition I’m supposed to let her go, so she can travel unhindered by ties pulling her back. I’m not doing very well at that. I pray for her safe journey while I also call for her to be back in my arms. I tell myself I did everything I could, but I still feel inside I let her down, as I’m sure every parent feels when a child dies. I had a bit of “reality check” as I was looking through pictures to use for this post. This one is from the OT. Tuni in the Operating Theatre. I think I’ve resolved that I did all that I could. It’s hard to look at that picture and not feel I did what I could, and so did everyone else who tried. I decided to post my favorite picture of Tuni. Tuni with her sisters, right at home at Shishur Sevay. I think about her a lot. I ponder all the obvious questions about destiny and fate. She was an incredible light that filled us, all of us who knew her, all of us who got to know about her. Suravi Changlani, who interned at Shishur Sevay wrote a beautiful tribute to Tuni. Dreams such as this one are not new to me. When I was delivering babies I would sometimes have dreams about the baby’s condition. I published an article about my dreams in Mothering Magazine, sometime around 1980. I once dreamed that I went to the home of a patient of mine in labor and there were three chickens wandering around in the kitchen. I’d never been in her home. When I went there later in the day because she had gone into labor, there were three wishbones on the kitchen window sill. But I’ve also had times of just knowing about things that would happen. Looking at the pictures for this post, and thinking about the last few days of her life, I think now that the dream came from her. She needed to tell me. She needed to let me know, for her sake, for her not to feel so alone as she faced death. She needed me to be her mother. She always knew her life would be short. I’m someone that babies can talk to when I’m asleep and I hear what they are saying and I remember. She needed a mommy to tell. Tuni needed me to bury her in a safe place. Somehow that must have mattered to her. She let me know. I listened and did as I was asked. Sometimes I just can’t stop crying. I miss her so much.